On May 2nd, Sunny Co Clothing went from 7,000 Instagram followers to over 750,000. That’s a 10,000% increase in a single day. Most companies can only dream of this viral success. It’s nearly unheard of. But in this case, it wasn’t necessarily an accident, either. Once you dig a little deeper, you’ll notice that this campaign would have been a smashing success even if it didn’t ‘go viral’ to these extreme lengths. The good news is that nothing they did was special, necessarily. Beyond the hype and hysteria surrounding this massive success, was a solid plan backed up by excellent execution. And if you reverse engineer it, you’ll quickly realize that nothing’s holding you back from running the same blueprint this week. Sounds enticing, right? Here’s how to get it done. More than 95 million posts (pictures and video) are shared on Instagram every single day. It’s saturated with fashion bloggers, fitness stars, and you name it. These people are your competition whether you like it or not. Before getting anywhere near someone’s pocketbook, you’re competing exclusively for their attention, first. Staples is about as boring as it gets. And yet, miraculously their account is not stuffed with photos of boring office supplies. Instead, they use Instagram to promote their partnership with schools. Apparently, Staples gives away a ton of school supplies every year and are huge supporters of education. Here’s a post where they featured a well-deserving teacher. Notice that they even added appropriate hashtags (which big brands always seem to screw up) that help broaden their visibility. Photos with faces are more popular than products or scenery. Authenticity is the most important factor of a “powerful visual” according to Getty Images. That might sound tricky for B2B companies to pull off. But these next few are exceptions to the rule. Email marketing company MailChimp uses storytelling to highlight people both inside their company and out (including their customers). Smiling faces are good, but not always a necessity. Ok, I know: Pretty corny. But hold off on judgment for just a second. Hero images have been used in advertising for decades to help viewers empathize and project themselves into being the ‘main’ character depicted. The Marketo example above shows someone who just triumphed over adversity and now seemingly has the whole world in front of them. They’re also turned away, so you can can’t see their face, which only makes it easier to imagine yourself in the same position. And the background colors are both vivid and bold. It sticks out, but it also reinforces the ‘hero’ motif. Now let’s bring this all back to Sunny Co Clothing. Hero image, turned away, with stark, contrasting colors. It seems like a real, authentic person (as opposed to an obviously staged shot). And it emphasizes the lifestyle or outcome (relaxing by the pool) as opposed to the product itself. Not a bad start so far. Most small and medium sized companies fear advertising. They feel like it’s a gamble or a waste of money. Even though it’s anything but… if you do it right. For example, Instagram ads adopt many of the same features from Facebook. 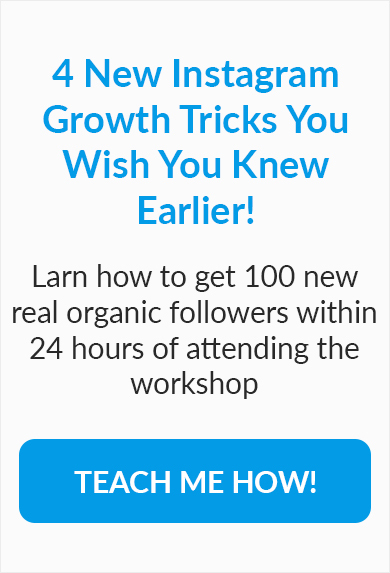 That means you get access to using custom audiences that allow you to laser target campaigns to everyone from followers, to website visitors, email subscribers, or even past customers. Wall decal store Walls Need Love uses an ‘organic to paid’ approach to make sure their ad dollars are well spent. For example, they’ll work with bloggers and influencers on ad creative to post organically to their followers. Then they’ll use analytics to see which types of images work best, for example. They noticed that “light and airy photos got the most likes” on Instagram. So guess which they now put ad dollars behind to reach new audiences? Most Instagram users are familiar with Curalate’s Like2Buy feature that adds a simple link to your profile to simplify the buying process. Once again, it’s a paid option. And once again, it pays off handsomely. Users who click through using Like2Buy spend 32% more time on the site. So it should be no surprise that they also view more pages and buy more products, too. The first step to any viral marketing campaign includes seeding your audience. You need to hit a certain threshold, or critical mass before true (and elusive) word of mouth takes over. Contrary to popular belief, things rarely ‘go viral’ on their own. With little or no prompting. For example, if you wanted to make a video ‘go viral,’ you’re looking at $50,000 in some cases. Obviously, that’s a lot of out-of-pocket cash you might not have lying around. So ‘eating’ the cost for your own products is often the next best step. An excellent SocialBlade article helps us run the number behind Sunny Co’s text book example. The “$80 bathing suit” might cost as little as $3 bucks on wholesaling websites. Customers were charged $12.98 for shipping, even though a package that size should only cost $2.77 according to one expert interviewed. That means Sunny Co is actually ending up with possibly $6 bucks per ‘free’ swimsuit as a profit. So first things first: They’re not even losing money on this deal. If we were to take a ‘worse case scenario’ view, maybe they broke even. But in this case, they still come out way ahead! They got hundreds of thousands of new Instagram followers. They got email addresses from each person who redeemed this offer (so they can try to upsell later). And they got immeasurable new brand awareness that would have cost them hundreds of thousands in advertising or PR costs. So far we’ve looked at how Sunny Co’s photo and distribution strategy created a perfect story of virality. ‘Seeding’ gives your viral marketing campaigns a fighting chance. But there needs to be something about them at the end of the day that compels people to pick up the baton and run with it. First, Sunny Co required that people both (1) repost and (2) tag the company to redeem the offer. 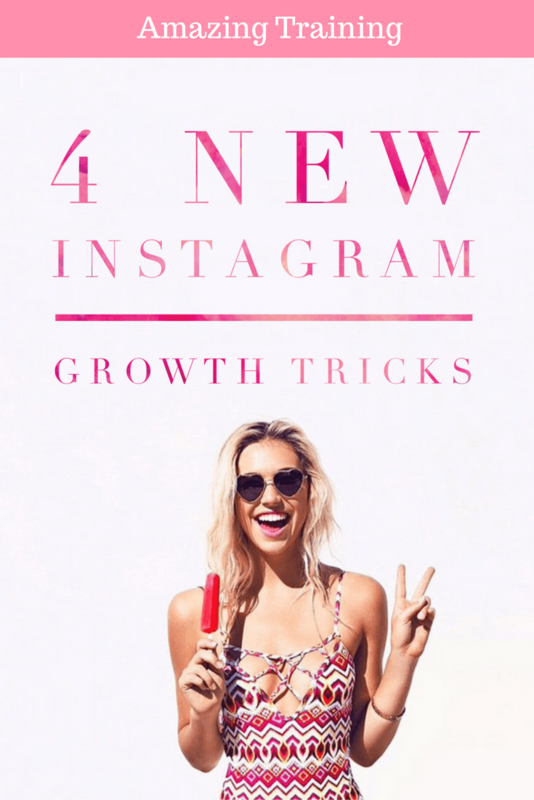 That leverages the Instagram’s network effect to bring in the followers of your followers. They’re also giving away six pairs of pants to one person. Think about that for a second. Sure, that person could selfishly keep all six. Or, they could share it with the friends they tagged (so that they can all work together to better their odds of success). The half-life of a post on Instagram is about an hour according to a study by Takumi. That means half of everyone who will see your post has done so within ~60 minutes (give or take). One hour is nothing on internet time. The vast majority of people will completely miss that post. Unless, of course, you do something to extend that half-life. Something like including viral hooks that get people to continuing sharing it over and over and over again. The final piece of the puzzle came down to a double dose of scarcity. The 24-hour time period meant you had to act fast to beat the cutoff and to be one of the lucky ones to receive the free swimsuit. Most people today don’t need things. If they have access to Instagram (and time to browse), they’re already in the lucky 1% of the world’s population. That means, when you think about it, there’s almost no reason they need to act now to buy your product. However, using scarcity to create urgency out of thin air can drastically improve your odds at getting people to take action. For example, dog food e-tailer Bob & Lush wanted to increase product sales. So ConversionXL made just one tiny tweak to a product page to see which variation sold more at the end of the day. That tiny, outlined box with an expected delivery date resulted in a 27% revenue increase! A variation on this tactic is the ubiquitous countdown timer you see across the interwebs. This time, Behave.org (formerly WhichTestWon) ran another test. One product page variation had a countdown timer, and the other did not. The countdown timer variation scored a 8% conversion increase. Countdown timers and delivery dates are important. But the real reason is because of the underlying principles they’re both striking: Urgency. Sunny Co executed many things well on their viral swimsuit giveaway. But the 24-hour cutoff gave the campaign (and more importantly, their followers) the urgency reason to take action ASAP (before it was too late). Viral marketing campaigns are hard to predict. There’s no set formula to guarantee it’s going to happen. Sometimes it even happens when you least expect it. Sunny Co Clothing’s viral success was no accident, though. You can tell there was a solid game plan from the beginning. They were following tried-and-true promotion principles that have been around for decades. As is so often the case, the idea isn’t what was original. It was execution on the fundamentals that put Sunny Co in the best possible position to take off. And fortunately for them, that’s exactly what happened.